Quaker Tapestry is a great venue for educational visits. Our experienced team provide a high level of service to those planning educational visits and a fun day out for young people. 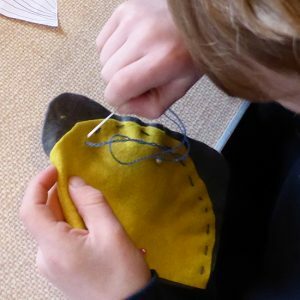 The visual impact of our textile exhibition inspires enthusiasm, interest and learning and we offer special activities and teaching aids to school groups. Films, interactive exhibits, subsidiary displays and multi lingual personal audio guides add to the experience. 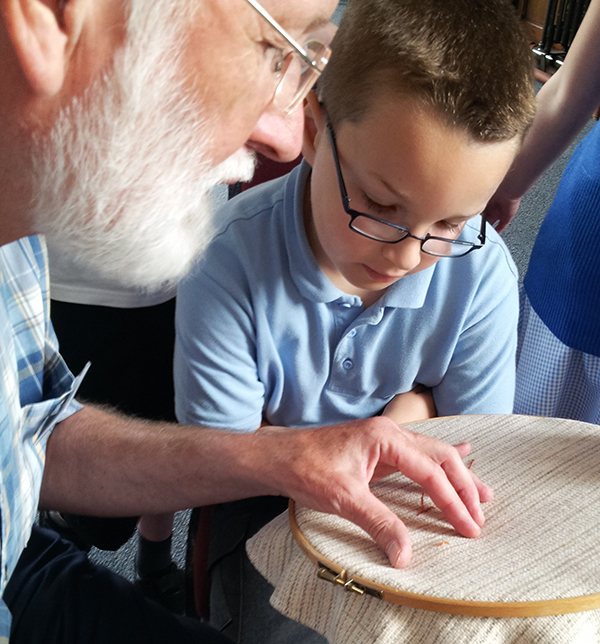 We welcome educational visits of all ages to the Quaker Tapestry, and we like to discuss the various options with the teacher/organiser at least three weeks before your visit. That way, we can tailor our offer to your needs. Can we link your visit to your activities at school? Yes, we can develop activities linked to various aspects of the curriculum, including Arts Award, citizenship, art and design, textiles, religious education and history. 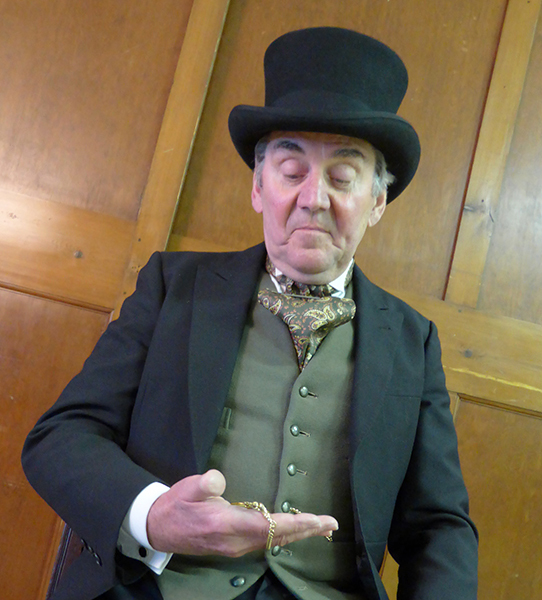 We have a range of activities including, stories, stitching and drama – become a detective and discover all sorts of fascinating information. 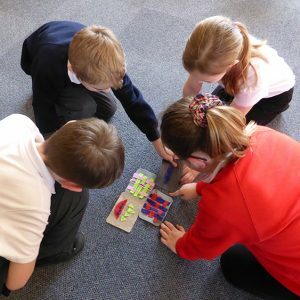 Art and Design: The Quaker Tapestry tells stories through textiles and is an ideal inspiration and starting point for developing children’s design ideas. Learn how children had a big part to play in the designing and making of the Tapestry. We are a Supporter of the ARTS AWARD. History: Quakers started many manufacturing businesses including Huntley and Palmer, Fry’s, Cadbury’s, and Rowntree’s. Learn about the important changes Quakers made to the lives of their workers and their families. Find out about their stories through the pictures in the Tapestry panels. Discover what the Quakers did in during World War II. How much time is needed for a educational visit? Sessions are tailored to your needs and can last anything from one hour to a whole day. What facilities do we have for school groups? As well as the exhibition itself, we have a large meeting room where we gather your school group at the start and finish of each visit. Our beautiful walled garden can be used for picnic lunches in fine weather. We also have a schoolroom available for hire at a cost of £20.00 should you require teaching space or for eating your picnic lunch if the weather is too cold or damp to sit outside. 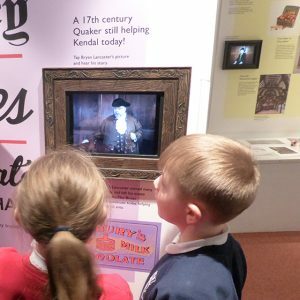 Are Quaker Tapestry staff involved in educational visits? 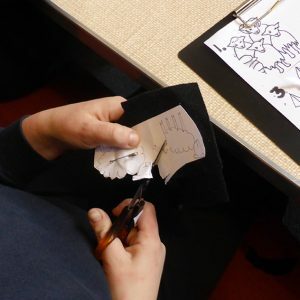 The Quaker Tapestry team is happy to participate in your visit, and we have qualified teachers amongst our staff and volunteers who can help you plan your visit, contribute to the activities on the day, and lead teaching activities with the children. Is the exhibition accessible to everyone? We offer a warm welcome to everyone at the Quaker Tapestry and the Exhibition Centre is professionally designed with facilities for all. We have step-free access via the Stramongate entrance to the building. The whole Exhibition Centre, including the shop and cafe, is easily accessible to wheelchair users. We also have toilet facilities for all. See our full Access Statement on the Access page. Is there a coach drop off point nearby? There is a convenient coach drop off point directly outside our Stramongate entrance, with parking for coaches 2 minutes away at Blackhall Road. See our Directions page. How do we book our school visit? Please book your school visit several weeks in advance to allow for preparation and planning. We look forward to welcoming your school to the Quaker Tapestry Museum.